All of our products are handcrafted with care using natural fibres. The subtle variations in colour, texture & finish are the signature of the human hand. These irregularities in the fabric, are not “defects” but are integral to & characteristic of handloom textiles. Creating each product is a meticulous process rooted in the indigenous crafts-based traditions of hand spinning, dyeing, weaving, wood block printing & embroidery, each with its own regional specialty & character. We use both vegetable dyes and commercial dyes with the goal of minimising our impact on the environment while striving for the best colour properties in the textiles. So if your fabric has any of the characteristics seen in the images below, consider it as an inherent property of handloom weaving. Special garments require love & care. We recommend hand washing with the mildest detergents for best results. · Hand wash cold with gentle detergent. Do not ever soak the fabrics. · Wash items with like colours and turn your clothes inside out, especially dark colours. · Some darker colours may require to be washed separately the first few times as they may bleed a bit. · Since most of our textiles are created with natural dyes you may experience a light colour bleed for the first couple of washes, especially darker colours. · Hang them out to dry in the glorious sunlight instead of tumble drying. 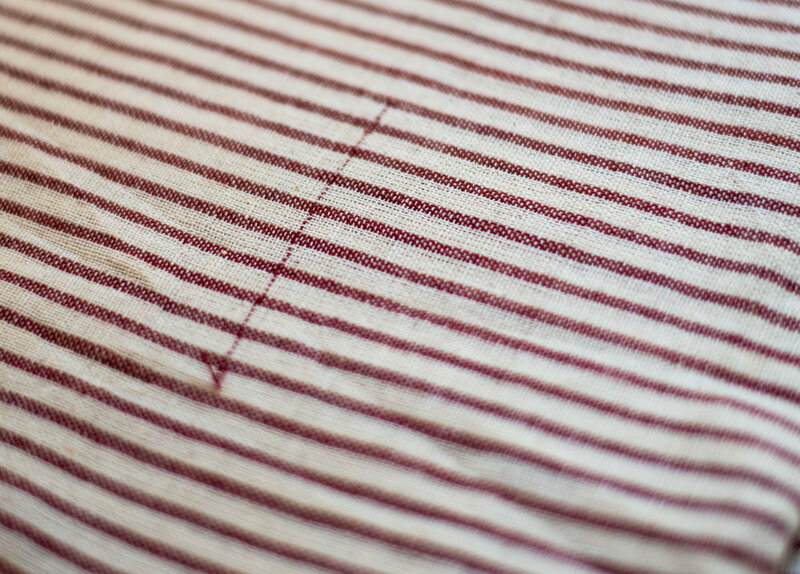 · Handwoven cotton shrinks slightly after the first wash. Please ensure that you wash the fabric before creating garments to avoid shrinkage after wearing. Air steaming the textiles gives the best results, especially for cottons. You could also press with a warm to hot iron while damp. If the garment has dried, use a spray bottle to dampen the fabric.